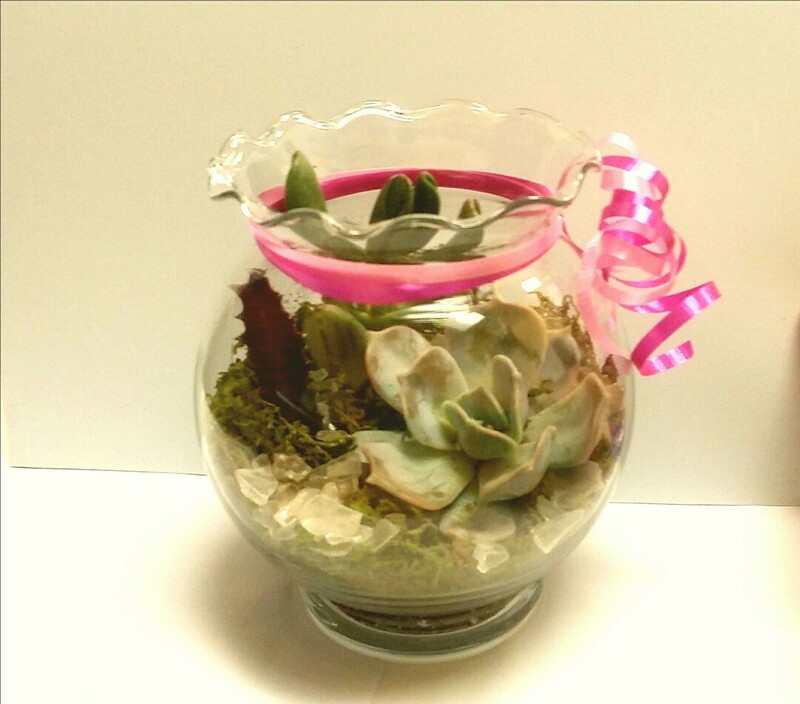 Create mom a sweet succulent gift. Class Time: 10-11:30 am, 1-1:30 pm, and 2-3:30 pm Please call to register for class time. Includes: (1) glass rose bowl, (3). 2" succulents, potting mix, moss, glass rock, and ribbon.